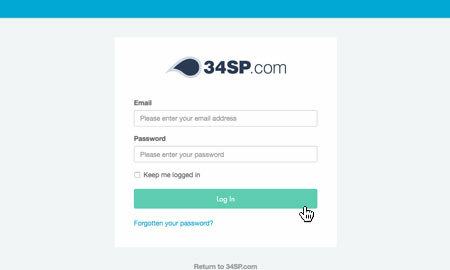 This is a quick step-by-step guide to upgrading Weebly via the 34SP.com Control Panel. Please note: Weebly is only available our Professional Hosting plan. For more information on how to use Weebly website builder, please read the 'Weebly Knowledge Base'. 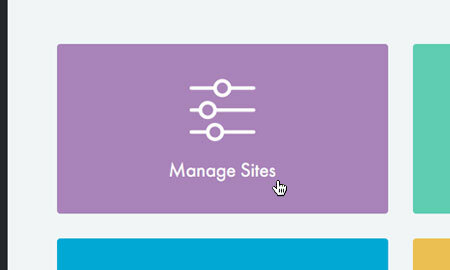 After you have clicked on the website you wish to edit, you will be presented with a page of icons. 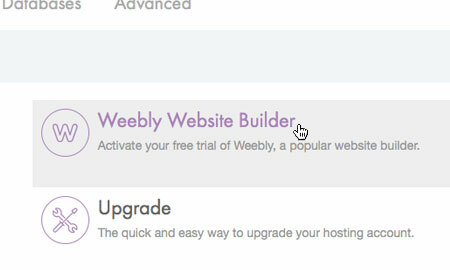 Please click on the icon labelled 'Weebly Website Builder'. 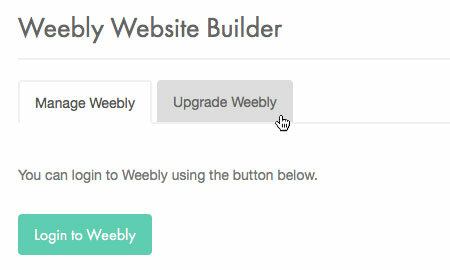 To upgrade Weebly, please click on the tab labelled 'Upgrade Weebly'. You will be presented with a list of different Weebly plans. 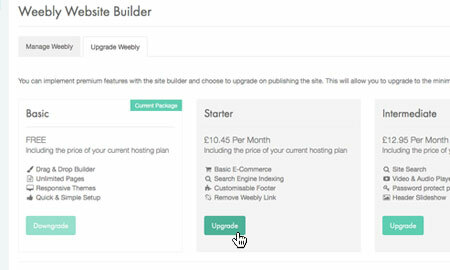 When you have decided which plan you wish to upgrade to, click the button labelled 'Upgrade'. The upgrade will then by added to your shopping basket. At this point you can either add more products to your shopping basket or click on the 'Proceed to Checkout' button and begin the payment process. 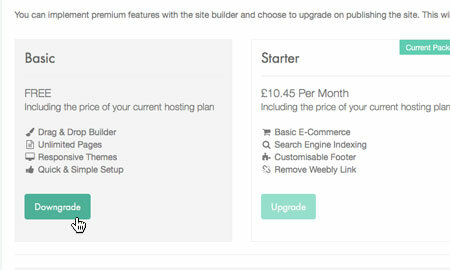 If you wish to cancel your Weebly account, the first thing you need to do is ensure you are on the 'Basic' package, this will stop any Weebly associated billing. To downgrade from a higher package, simply click the button labelled 'Downgrade'. If you are already on this plan, you do not need to make any alterations on this page. To complete the removal of your Weebly website, you will need to remove or replace your website files. We recommend you do this via FTP. For more details on using FTP, please read our KB article 'How to manage your FTP access details'.